Is the new S-Class really the best automobile in the world? I can't say for sure. 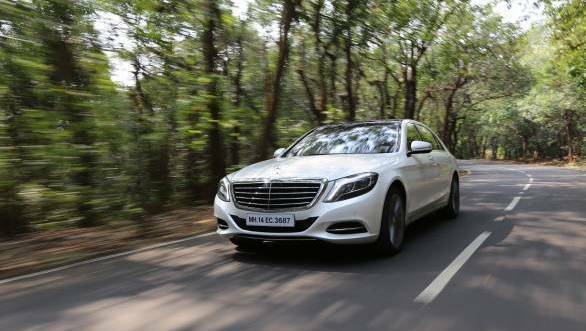 But, what I can tell you is that the new S500 we have just tested, and which goes on sale in India in January, comes extremely close . There's also no denying that the S-Class as a whole is so impressive, we will just go ahead and give the verdict right away ? if you are in the market for the ultimate luxury sedan, the new S500 is the car for you. It's the benchmark five star car. Flash is something we are beginning to accept in India much like our Chinese friends. The new S though doesn't score very high on this count. It's more elegant than glitzy; more authoritative than loud; and more stylish than brash. Its more Brooks Brothers than Versace. And for a car that's meant for the elite, we love this about the S-Class. It has a large imposing grille and attractive headlamps, and a silhouette that's more fast-back than limousine. It also has just enough design flair to count as current. The use of materials and method in the car's construction though are strikingly up-to-date. Its chassis uses aluminium and high-strength steel to balance lightness with rigidity. All the crash structures around the passenger cell are steel but the roof and the front section besides the outer skin of the car are all aluminium. The suspension uses aluminium liberally as well. Overall, this has helped the new S-Class lose 100kg and gain 50 per cent torsional stiffness. The new car is also longer than before, and it sits on a longer wheelbase. This has further improved interior room, which was already pretty good in the previous generation car. 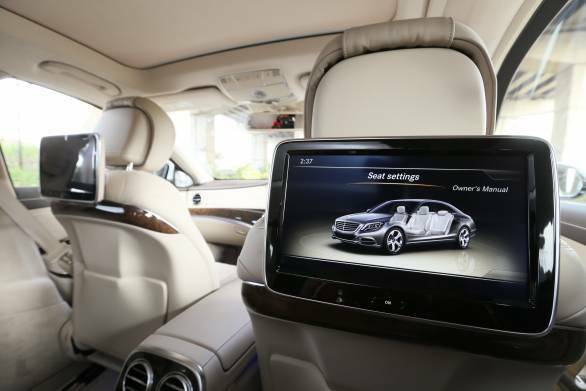 And just so that the rear passengers get all of their money's worth, the S500 also comes with a Chauffeur Package as standard which allows the rear passenger to move the front seat ahead and up to a degree that the rear passenger can literally stretch those legs. And when the front seat is forward enough, a footrest slides out of the front seat reminding you that it's in fact time to put your feet up and relax. But this is only a small part of what makes the new S-Class' interior warm, welcoming and shockingly good. Almost everything inside the cabin is either draped in leather or is made from wood or metal. The fit and finish is immaculate; the attention to detail, outstanding; and the design and ergonomics comfortably the best in its class. All the touch points feel opulent, and they work with a satisfying click be it buttons and toggles that operate a long list of functions or the texture and sheen of the perforated leather. Even the 31.2cm TFT screens for the COMAND system and the instrumentation with their high resolution look less like Chinese gimmicks and more like well-executed and thoughtfully engineered masterpieces. And then there's the comfort. There's so much of it, in fact, that I spent more time being driven around in the S, and that's rare for a road test. The seats are large and cushy, and these cool and massage as well. The armrests are perfectly located, and with seat adjustment on all four seats being offered as standard, it's easy to get comfortable no matter where you are seated. 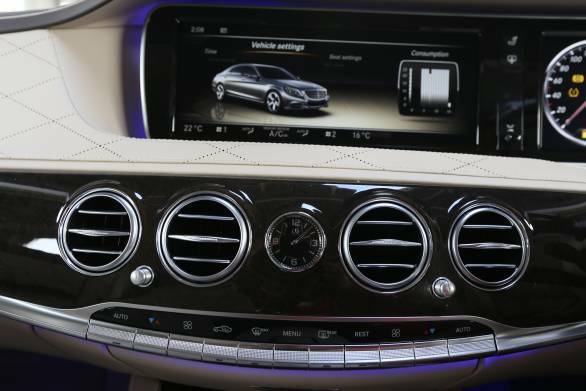 The serenity, the airiness and the charm of the S-Class cabin further adds to this comfort factor. The ride on the S-Class isn't bad either. Now, we won't call it plush because over bad roads thuds can both be felt and heard, but over mildly broken surfaces, undulations or even small bumps, it simply wafts with the ride remaining refined and quiet no matter what the speed. The ride could have been much better, of course, but thanks to our government's ban on certain radar-based systems, the much-touted Magic Body Control doesn't make it to India. And that's sad for this is one of the defining traits of the new S-Class. The system, according to Mercedes, uses cameras and radar to read the road ahead and alters the suspension characteristic to return an almost magic carpet like ride with hardly any pitching, wallowing or bobbing. We also won't be getting the human recognition camera for the same reason. What we do get is air suspension with two modes as standard ? Comfort and Sport. In Comfort, the S feels malleable and relaxed and this works particularly well at slow speeds like within town. However, going up a twisty road in Comfort, was well... not so comfortable. There's just too much body movement and with it the turn in is lazier and the S feels nervous as it understeers almost all the time. Sport firms up the ride, and interestingly, it also alters how the steering feels and reacts. The whole setup feels a lot tauter and on the same section of road, we found the S less prone to understeer and more alert to inputs. And though the driver involvement still remains low thanks to hardly any feedback coming through either the steering or the car itself, we did feel more confident pushing it harder than before. It also feels absolutely brilliant in a straight line, even when driven flat out. As of now, Mercedes will only bring in the S500 and that too via the CBU route. So, expect the car's pricing to touch Rs 1.5 crore. Now, apart from the plush, spacious and properly comfortable insides, the outstanding fit and finish and the diligent attention to detail, this sort of money will also get you a truly stupendous engine. 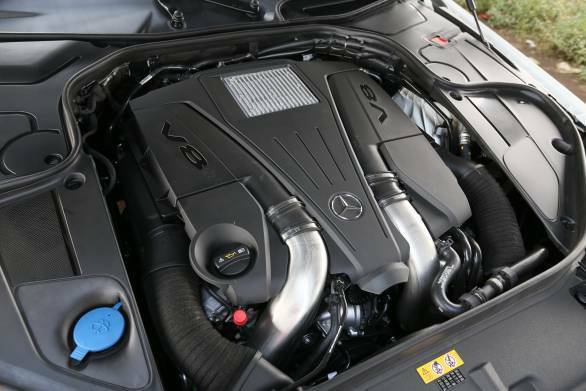 It is a petrol-powered V8 that displaces nearly 5000cc and develops 460PS of max power. The peak torque is an even tastier 700Nm, which is what large V8 diesels make. And it shows in the way the S500 simply wolfs down the kilometres. The 0-60kmph run takes 2.9 seconds while the 100kmph mark comes up in just 5.7s. The quarter mile takes 13.8s by which time the car is already hurtling past 170kmph. 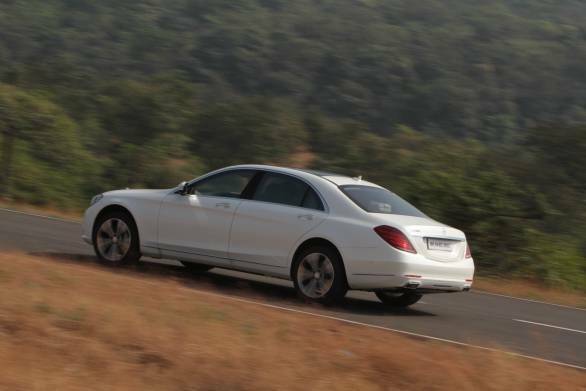 200kmph comes up in less than 20s and before you know it, the S500 is calmly sitting at its top speed of 250kmph. It can go faster still but Mercedes, like other German carmakers, has chosen to restrict it at this mark. The 40-100kmph kickdown, meanwhile, a reflection of sorts of a car's ability to overtake, is an equally impressive sub-four seconds. For a car that measures more than 5 metres long and is anything but light, this is phenomenal performance. And, the S manages this with a sense of poise and confidence that's hard to come by. Like we said at the beginning ? if you are in the market for the ultimate luxury sedan, the new S500 is the car for you, no question.